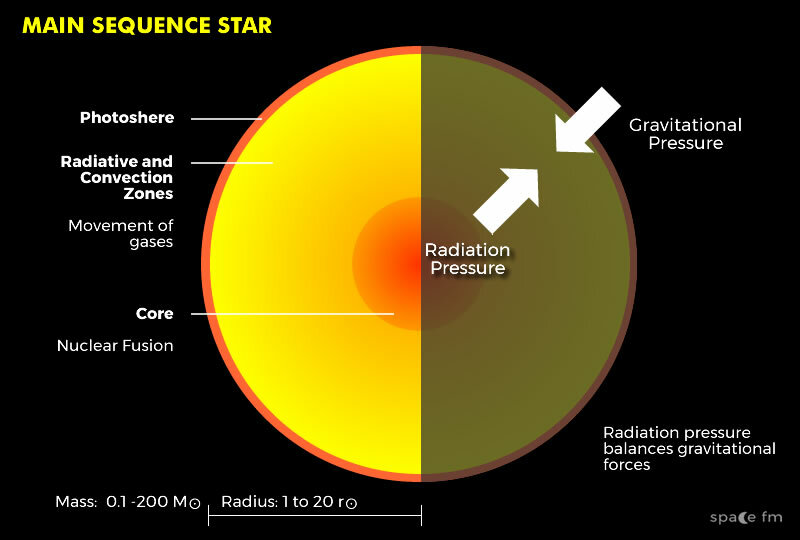 In a main sequence star, with a mass similar to the sun, the radiation pressure that comes form nuclear reactions in its core balances the immense gravity from the total of the stars mass. Over its lifetime as it swells to a red giant these same forces keep it together but when it shrinks to a white dwarf and no longer makes fusion different forces are at work. The white dwarf is the core of the former star and is now a crystallised structure of oxygen and carbon, densely packed with electrons. Whereas before the electrons were free to move around now they are restricted in their movement. The strong gravity means electrons are more compact. This is called electron degeneracy pressure and keep the white dwarf stable. Astrophysicist Subrahmanyan Chandrasekhar realised that the higher mass a white dwarf is, the more dense it becomes and so the smaller it is. A white dwarf can be no more than 1.4 solar masses. This is called the Chandrasekhar Limit. 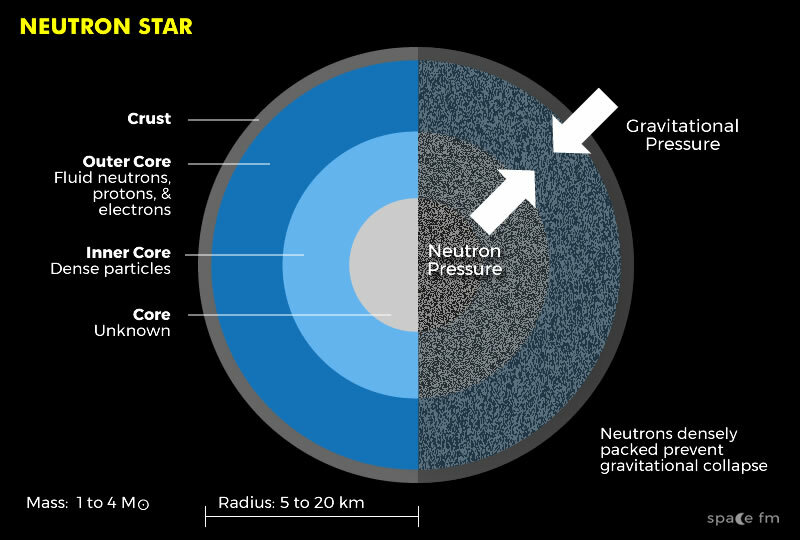 If the pressure can no longer hold the gravity after this point it will become a neutron star. In a neutron star electrons and protons combine to form neutrons. Neutron pressure keeps the immense gravitational force balanced. A supergiant star that has burnt it’s elements develops an iron core at which point the radiation pressure holding the gravitational force in place collapse. 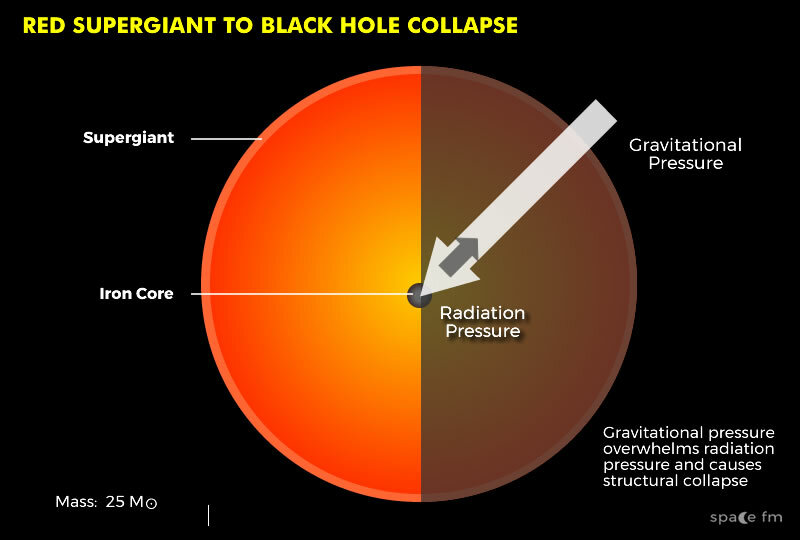 Gravity consumes the core and collapses leaving a black hole.